Yoga Dance is an off-the-mat celebration of joy and creativity through dance, inspired and informed by the philosophies and practices of Kripalu yoga. Connect and grow with yourself and others through this dance exploration of body, mind and spirit! Yoga Dance dances the wild, the wonderful, and the joyful — offering fun, easy-to-follow guided movement with room for personal expression. We’ll dance and chant through the 7 major chakras, energetic centers located in the spine, which results in experiencing a blissful body, joyous heart, and quiet mind. An all-levels class: suitable for every body! Shalini was born in India & raised in New York from an infant. Her path led her to an MBA in finance & working in corporate America for many years.. After moving to South Jersey in 2006, her spiritual journey began. Drawn to healing & teaching, Shalini is now a Reiki master, studied hypnosis, & is partner in an artist’s store in Medford,NJ. After learning traditional Vedic chanting, it has changed her life & now Shalini knows it’s time to share the magic of chants. Victoria is the owner of Blissful Yoga. She’s been practicing yoga for 14 years and teaching yoga for 8 years. 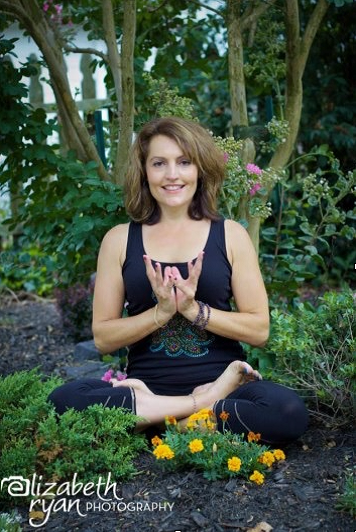 She is certified as an instructor for Vinyasa Yoga, Children’s Yoga, Yin Yoga and Kripalu’s Yoga Dance. In the fall of 2013, Victoria was afforded the opportunity to travel to Kerala, India for over a month. In Eat, Pray, Love fashion, she spent 22 days in a Sivananda Ashram for Yoga and Ayurvedic studies and practices.